Brilliant directorial debut packed with eccentric characters and suspense. 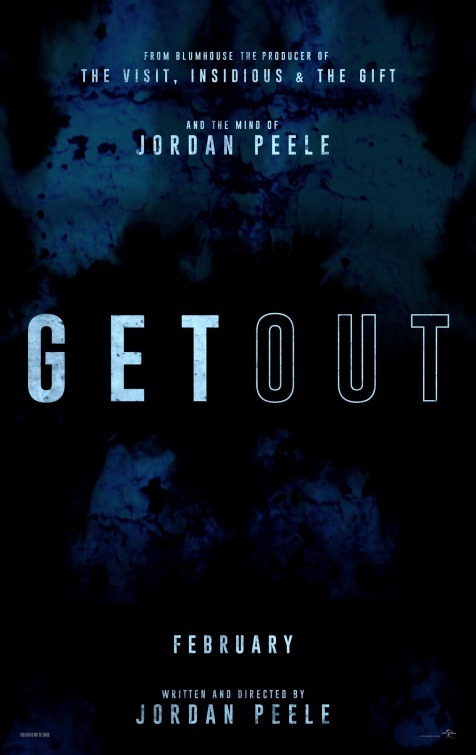 Though comic genius Jordan Peele’s directorial debut Get Out intrigued me, the preview seemed a bit silly. Particularly off-putting was a close-up of a teary-eyed Betty Gabriel saying “No. No. No no no no no no...” I almost decided not to see it in the theatre. What a mistake that would have been. This tale of a well-adjusted guy in an unsettling environment steeped in racial issues offers a completely absorbing filmgoing experience from start to finish. 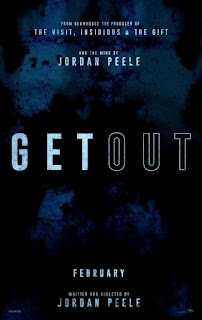 Although it’s billed as a horror, Get Out blends suspense, mystery, drama, comedy, and even a bit of soft sci-fi. Budding photographer Chris Washington (Daniel Kaluuya) and white girlfriend Rose Armitage (Allison Williams) head out to the country to meet Rose’s family. However, the carefree Rose has not told her family that Chris is black. Initially, the Armitages seem the perfect suburban family, but their oddities, along with those of their social circle and their housekeepers, gradually surface, leading to the discovery of a dangerous secret. What makes Get Out so compelling is that everyone who Chris encounters displays some eccentricities, with Rose’s family leading the pack. Despite his backslapping demeanour and his conviction that “I would vote for Obama for a third term if I could,” surgeon father Dean (Bradley Whitford) makes comments that range from off-kilter to attacking. Rose’s mother Missy (Catherine Keener), a psychiatrist, applies her specialty in hypnosis to attempt to stop Chris from smoking. But her intents may not be entirely beneficent—watch for Missy’s menacing facial expressions. The most entertaining Armitage, however, is Rose’s brother Jeremy (Caleb Landry Jones), a wild-haired medical student whose drunken banter highlights a tense dinner table scene. The Armitages’ idiosyncratic white guests, most of them older, watch Chris with a creepy fascination, while housekeepers Walter (Marcus Henderson) and Georgina (Betty Gabriel) speak in a “golly gee” 1950s sitcom fashion. This strangeness isn’t random; there is a reason for all of it, and when it surfaces, it’s as jolting as what you would find in an M. Night Shyamalan film. Comic relief comes in the form of Chris’s friend Rod Williams (LilRel Howery), a TSA employee. Rod, Chris’s lifeline to the outside world, offers a steady stream of humorous commentary. Though everyone acted superbly, Kaluuya’s performance deserves special mention. He achieves viewer empathy as our ally in this odd world. And when a hypnotized Chris reveals to Missy the circumstances behind his own mother’s death, he transfers the emotion to the viewer. Throughout the film, one can’t help but ask oneself: Who are these people? And why are they so fascinated with Chris? What a phenomenal job Peele does of pulling the wool over the viewer’s eyes. Theaker's Quarterly Fiction #59: now out!